What’s the Price for the 2019 Honda Civic? How Many MPG Does the 2019 Honda Civic Get? What’s New for the 2019 Honda Civic? The Honda Civic is one vehicle nameplate that has been around for longer than most cars. The 2019 Honda Civic is currently the tenth iteration of this vehicle and has come a long way since its early days. Every facet of the car has been reworked to incorporate some of the newest automobile technology, and the potential that currently exists in this vehicle is incredible. When it comes to this vehicle, the real question is what has retained from its previous versions. With a new look and feel, this is one vehicle that has gone through one intrinsic makeover. One of the first things that anyone will notice about the 2019 Honda Civic is the appearance. If in the past the Honda Civic was a vehicle that seemed like a classy and sophisticated choice, the new 2019 Honda Civic has gone for a complete revamp of that idea. The current design of the vehicle takes hints from sports vehicles and appears to be a more active and modernized version of this classic. The trim of the car has an entirely new look and comes with a range of customizable options for those who are looking to personalize this vehicle. The grille of the car also has a newer and fresher glossy look to add to the new and improved style that is exuded. All of the lighting in the vehicle has undergone a series of changes, starting with the headlights, right up to the taillights. A new black casing is what the vehicle now sports, and this is coupled with new chrome accents and a signature ‘wing.’ Overall, the appearance of the vehicle is an upgrade over the previous iterations of the vehicle that were available. Just like the exterior, the interior of the vehicle also underwent changes. The Honda Civic was known for being a vehicle of comfort and stability, and the new 2019 model stays true to that, just with a more modern look. The interior now features a new and improved audio system complete with a touchscreen and manual buttons – including a volume knob. No matter what kind of system you prefer, the 2019 Honda Civic tries to incorporate the best of all. 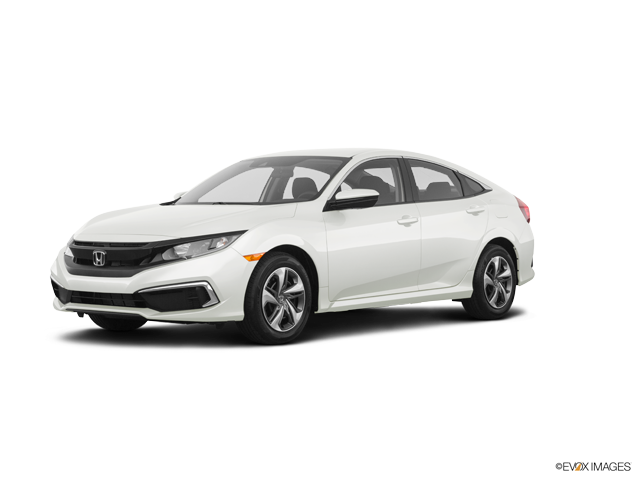 The 2019 Honda Civic runs on a 2.0L four cylinder DOHC i-VTEC engine that is fuel efficient while still offering great acceleration. With an output of 158 hp and 138 lb-ft of torque, base horsepower is noticeably higher than what one would get with the previous iterations of the vehicle. A 1.5-liter turbocharged four cylinder engine is also available, which produces 174 horsepower and up to 167 lb-ft of torque for people who prefer a car that is faster off the line. The Honda Civic is a vehicle that has consistently stood as one of the very best in terms of comfort and sturdiness over the years, which is why the 2019 Honda Civic is undoubtedly one that will stay true to all the ideals that the Civic lives by. Stop by Bosak Honda Highland for a 2019 Honda Civic test drive today! * MSRP excluding tax, license, registration, $920.00 destination charge and options. Dealers set own prices. ** 25 city/36 highway/29 combined mpg rating for LX & Sport 6MT trims. 30 city/38 highway/33 combined mpg rating for LX CVT and Touring trims. 29 city/37 highway/32 combined mpg rating for Sport CVT trim. 32 city/42 highway/36 combined mpg rating for EX & EX-L trims. Based on 2019 EPA mileage ratings. Use for comparison purposes only. Your mileage will vary depending on how you drive and maintain your vehicle, driving conditions and other factors.